When you have had a loss of a loved one, the Holiday Season can take on a very different feel including loneliness, sadness, apprehension, anxiety and depression making this time of year most difficult. With connecting, sharing and reflecting you can find strength and comfort to make it through the Holidays. 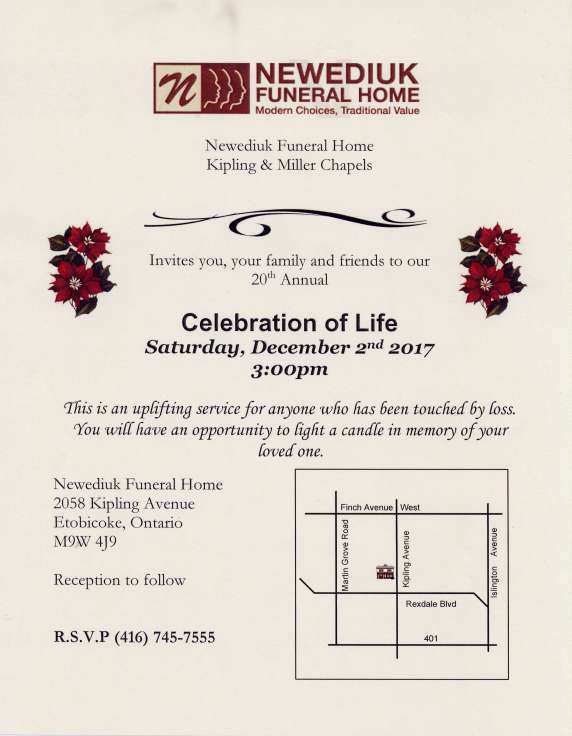 Please join us as we remember our loved ones and come together in community, compassion and caring. This takes place the first weekend in December. 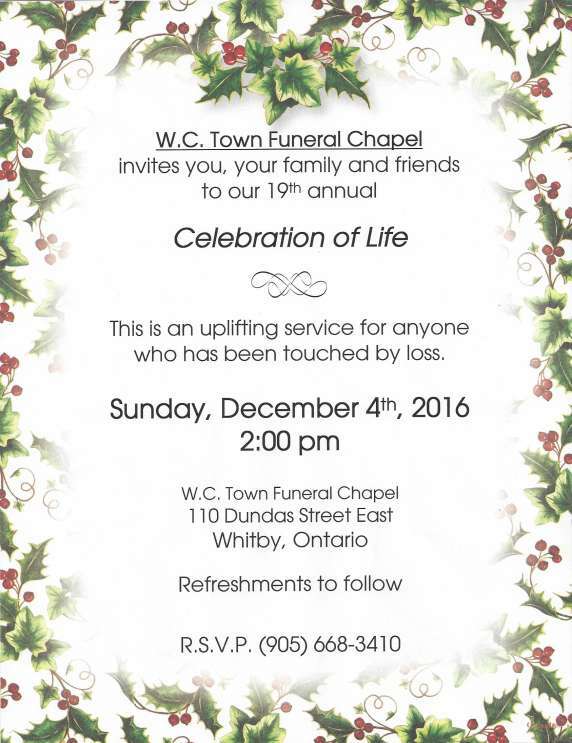 You can choose to attend a service in Toronto or Whitby. We would ask you to be kind enough to RSVP with your attendance.